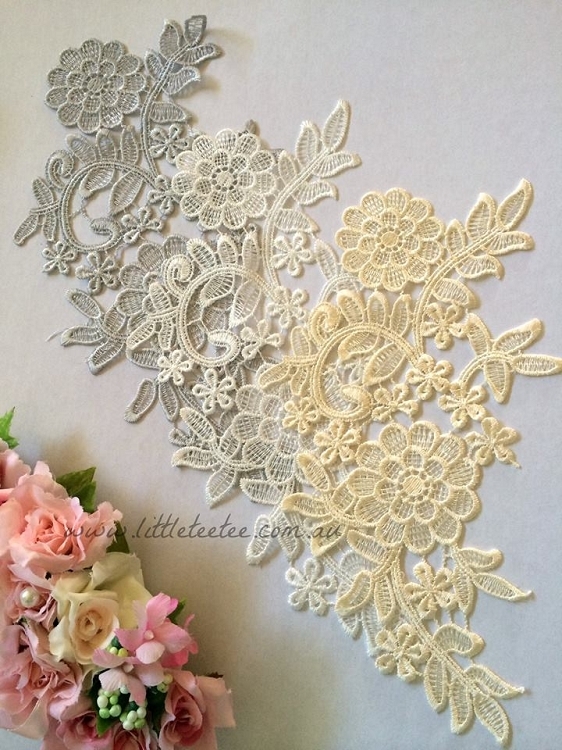 A beautiful lace piece featuring two large blooms, a scattering of small flowers and petite leaves. 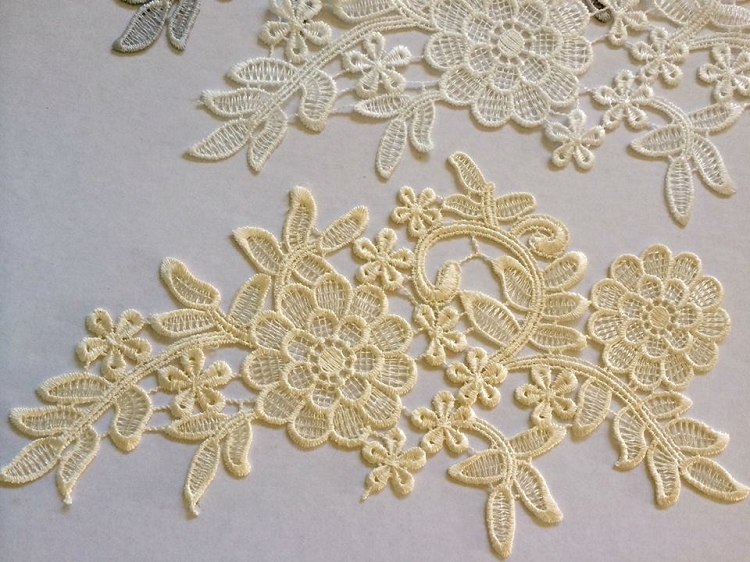 The perfect addition to your bridal creation or for any special outfit. Simply pin & sew onto your creation by machine or hand. Postage/handling is added at checkout.